Does someone know if the EOS R with adapter will be compatible with the 17mm TS? I suppose another thing to think about is if that's the lens you want to use could you use it on a better body? That means finally an easy solution for a circular polarizer with the 17tse when working with interiors! Will any CPL be usable or will the risk of reflections with sensor limit which can be used? I know that the rearmost element of modern lenses has special coating to reduce this risk, in particular when it sits close to the sensor. I am also wondering whether this increases the risk of dust on the sensor? On the drop in filter used in super teles you typically can mount any filter you like. 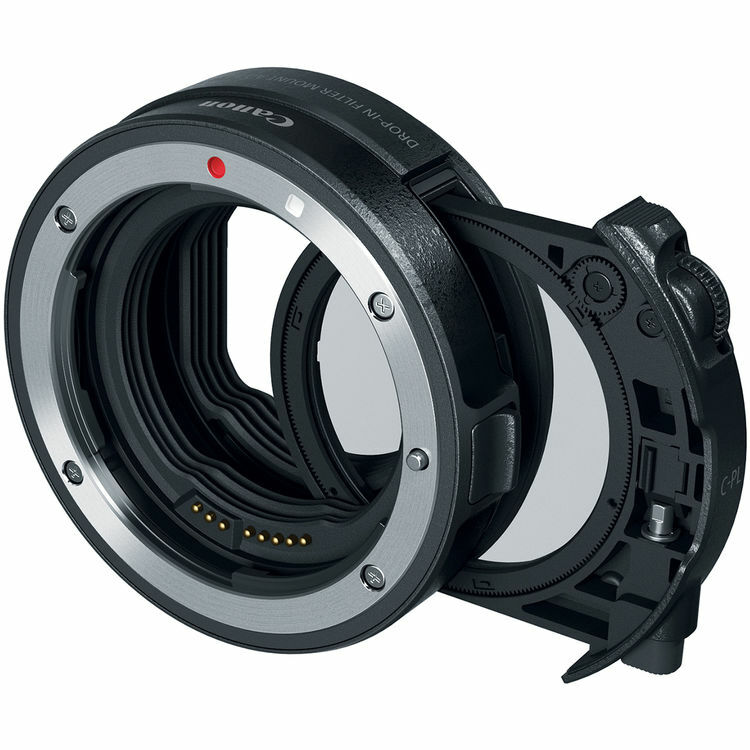 "The Drop-in Filter Mount Adapter EF-EOS R enables compatibility with EF and EF-S lenses and includes drop-in filter capability for use with circular polarizing filters or variable ND filters. This enhancement enables compatibility with numerous lenses regardless of their front diameter, and makes filter use possible with lenses like the ultra-wide EF 11–24mm f/4L USM lens or the tilt-shift TS-E 17mm f/4L lens which cannot accept a filter on the front." Forgive my ignorance but wasn't a polarizer filter not recommend with ultra wide lenses because of uneven polarization? Yes, indeed. The only case for landscape where I have found PL useful for wide angle is to reduce reflections from wet leaves or a body of water for instance. Controlling a reflection is one great reason to use a CPL and why canon engineered a solution. I don't need more than one reason, one is enough. Also...uneven polarization is only an issue if you only have one shot. If you take several shots rotating the polarizer...you can selectively paint in the reduced reflections in the areas you want while leaving a sky clean.